I stayed at the Sheraton Princess Kaiulani in Waikiki. 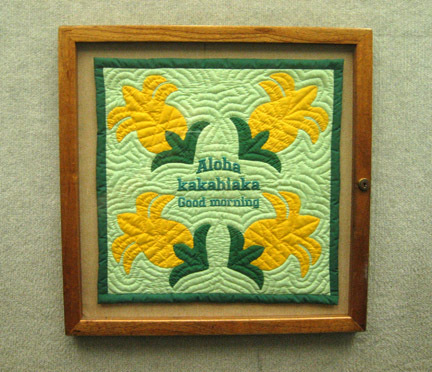 The elevators had these little quilts that would be changed throughout the day ("good morning", "good afternoon", "good evening"). The hotel is located on the site of the former royal estate where Ka'iulani grew up.